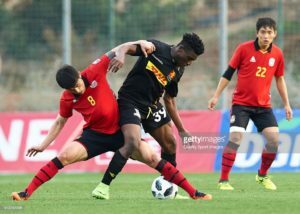 Ghana youth international Kudus Mohammed made his UEFA Europa League debut for FC Nordsjaelland in their 2-1 loss against Partizan Belgrade on the Thursday night. The 18-year-old was handed his Danish League debut over the weekend in their 2-0 defeat against Brondby. The former Right to Dream Academy star was hoping to keep his place in the team when they welcomed Serbian giants Partizan Belgrade to the Right to Dream Park. However, he started on the bench before replacing Mikkel Rygaard Jensen in the 65th minute when they were down by 2-0. His introduction sparked life into the side as they halved the deficit six minutes later courtesy Norwegian midfielder Mathias Rasmussen. Compatriots Clinton Antwi, Abdul Mumin and Ibrahim Sadiq warmed the bench for Nordsjælland while Godsway Donyoh missed the match through injury. 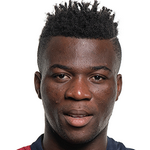 Kudus was a key member of the national U-17 team of Ghana that played at the FIFA U-17 World Cup in India last year.